Hosting writing workshops is not the only work I have done in schools; I have also been employed in a freelance capacity as a Success Co-ordinator for Allerton Grange School in Leeds and as a Marketing and Public Relations Consultant for the Leeds Healthy Schools and Wellbeing Programme. Allerton Grange is a large, multi-cultural high school, and in 2005 they created the rôle of Success Co-ordinator to promote the achievements of students both inside and outside school, and offered me the job. 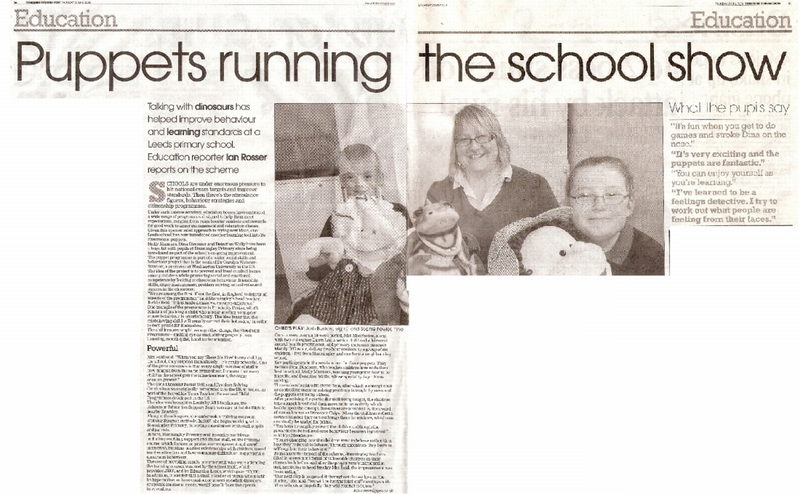 It was a pretty unusual assignment - there aren't too many Success Co-ordinators around - and you can read a little more about it by clicking here to see how the Yorkshire Evening Post covered the story on April 2 2005. I was given a free hand to celebrate and promote success in any way I thought fit - since the rôle was such an unusual one, it was virtually a case of making up the job specification as I went along - and the flexibility to fit everything in with my TV and corporate scriptwriting and my writing workshops in other schools. By liaising closely with the staff and students I was able to ensure that just about everything positive that happened in the school was reported on and photographed (I became a bit of a dab hand with a camera, even though I do say it myself! ), providing a wealth of material to use in prospectuses, on the school website, in displays around the building and in the local press - at one stage the school was averaging over two positive press stories per week. 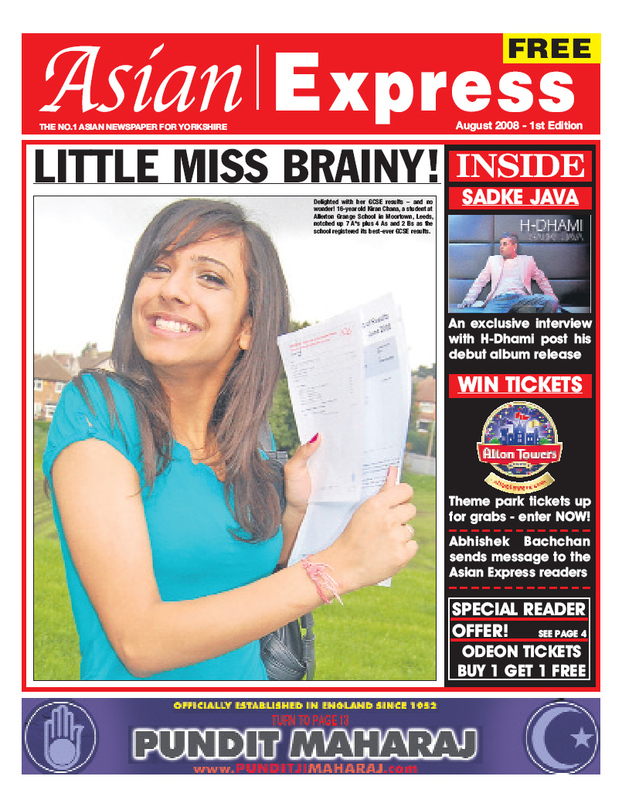 The power of a good photo - a GCSE story makes the front page of a community newspaper. 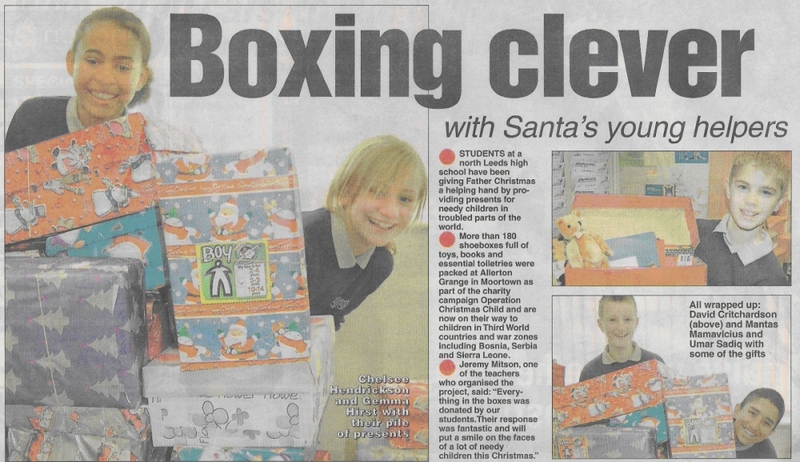 The local press loves a good Christmas story! I even used my media contacts to obtain special rates for the shooting of school videos, which I wrote and produced, and which proved to be a big success at Open Evenings and the like. And I like to think that the school magazines which I produced gave a really good flavour of all the exciting things happening in this vibrant school. If you'd like to take a look at some of them, you can visit the magazines section of the Allerton Grange School website by clicking here. My stint at Allerton Grange School came to an end in July 2009 - but it was great fun while it lasted, and I wouldn't have missed the experience for anything. Working among so many effervescent young people from a wide variety of different backgrounds and cultures is so energising; you feel as if you're wearing jump leads all day long! In 2007, my work at Allerton Grange came to the attention of the Leeds Healthy Schools and Wellbeing Programme, whose managers were looking for a Marketing and Public Relations Consultant to publicise the good work being done in schools to promote healthy eating, physical and emotional wellbeing and all the other aims of the Every Child Matters programme, and to draw up a communications strategy to ensure continuing publicity. They semed to think I fitted the bill, and so I was contracted to work for them one day a week on average for almost a year, visiting primary and high schools which had developed unusual and effective Healthy Schools initiatives. I interviewed staff and pupils, took photographs and wrote up the stories as case studies for education professionals and also as press releases for local newspapers, securing a gratifying amount of press coverage. Not a very good scan - but an excellent double page spread. Human interest stories featuring young children are a sure-fire winner.